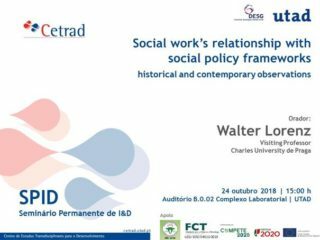 The University of Trás-os-Montes e Alto Douro is delighted to announce the seminar, organized by the Transcisciplinary Research Center (CETRAD), entitled “Social work’s relationship with social policy frameworks historical and contemporary observations” with the participation of Professor Walter Lorenz. 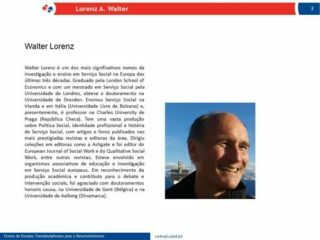 The event will be held on October 24th 2019, around 3pm, in the auditorium B.0.02 Complexo Laboratorial | UTAD. This event will be part of a yearly cycle of seminars.